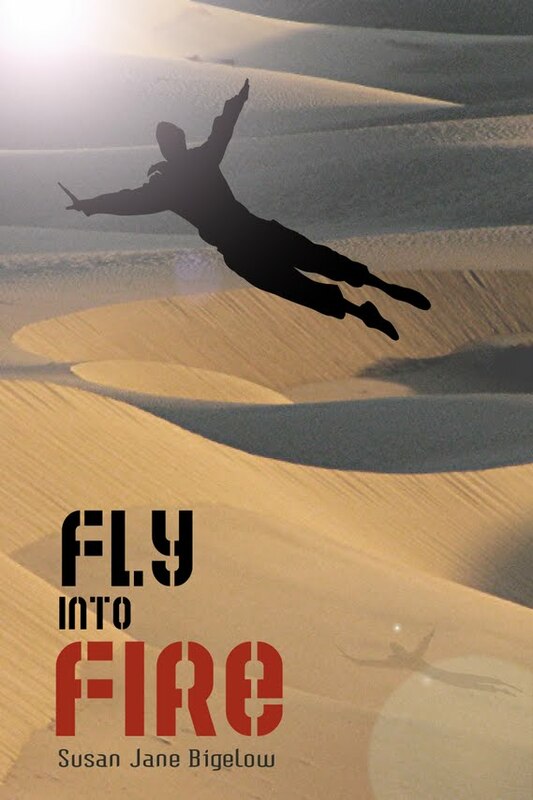 We Have a Cover for Fly Into Fire! I love a lot of things about this cover. First, there’s the conscious echo of the striking cover art for Broken, the lone flying silhouette. The figure is much more clearly flying than falling, however, and there are actual colors instead of just shades of gray. The dunes below are properly desolate and forbidding, but the tone of the piece in general is lighter, more hopeful and more positive than the cover for Broken. So, I’m seriously excited about it. Covers are extra super cool, and the fact that yes, this will be the cover for a print book come January of next year makes it even better. 4 Responses to "We Have a Cover for Fly Into Fire!" Uh, COOL! Nice font too. Is he holding a dagger? Aw, that’s so cool! Yay!